Dental crowns help patients with tooth decay and cosmetic issues (like chipped and cracked teeth) get new, confident smiles. 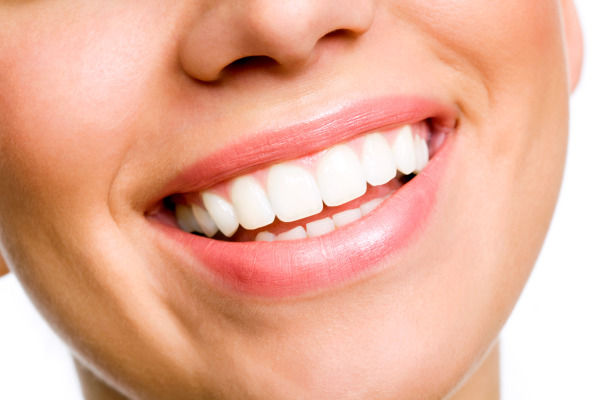 Even better, all-porcelain or all-ceramic crowns look beautiful and are a close match to natural dental enamel. Unfortunately, most dental crowns take weeks to be made and added to your smile. However, with CEREC same-day crowns from Schambeau Dental Care, you can get a restored smile in only one dental appointment just minutes from central Hoover. We are committed to high-tech, high quality dentistry and are excited to provide patients with the best in dental restorations and custom cosmetic dental treatment with CEREC. CEREC is an in-office digital imaging and milling system that produces ceramic crowns and other dental prosthetics in under an hour. With precise digital mapping of your smile, Dr. Schambeau is able to produce an exact model of your teeth and important oral structures in CEREC’s specialized computer program. From there, we design a crown that fits perfectly, and then mill that crown from a solid block of ceramic or porcelain. Our dental patients love seeing their crowns made right in front of their eyes, and love our one-day cosmetic and restorative dental treatment even more. By making your crowns right in our office, we prevent our patients from having to deal with temporary restorations. If you come into our office with oral health problems that require the placement of a crown, you can leave our office with a permanent restoration in the same day. Our CEREC crowns are custom-made to match your natural teeth in shape and color. After your new crown has been milled, Dr. Schambeau works with you to fit the right shade for your new restoration. He then expertly puts the final touches on your crown, ensuring that the result is natural-looking and the perfect complement to your existing teeth. Our one-day dental crowns are ideal for dental emergencies. When you experience an accident that results in chipped or damaged teeth, we place a permanent dental crown during your emergency appointment – there’s no waiting to get your urgent oral health problems effectively addressed. If you’re in need of a dental crown, we offer a better way to achieve your cosmetic and dental restoration goals. Contact Schambeau Dental Care to learn more about how we can help you get a full and healthy smile with one-day CEREC dental crowns in Hoover, AL. You may also schedule for a visit at our office by filling out our online form!